As we conclude our series in the book of Ruth, Pastor Mike explains how the main theme of the story is redemption. Ruth and Naomi's redemption through Boaz is a foreshadowing of the ultimate redemption by our kinsman-redeemer, Jesus Christ. As we continue our series in the book of Ruth, Pastor Mike delves into the concept of the kinsman-redeemer. When the redemptive power of the gospel is lived out in our lives, it will draw others to us. There is often a disconnect between how we see ourselves and how others see us. As representatives of Christ in a fallen world, we should take inventory of our character in light of Scripture. The character of Ruth and generosity of Boaz point us toward an integral life in Christ. 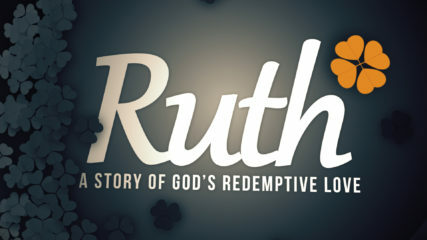 In Ruth Chapter 1, Naomi and her daughter-in-law Ruth suffer the tragedy of losing their husbands. But Naomi’s honest faith and Ruth's unyielding loyalty pave the way for royal line of the Messiah.